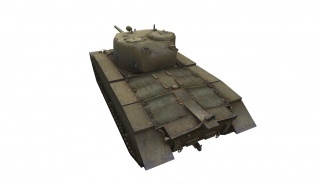 The T21 is an American tier 6 light tank. 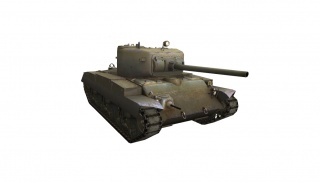 A lightweight version of the T20 medium tank with the M7 elongated chassis. The vehicle was developed in the first half of 1943. 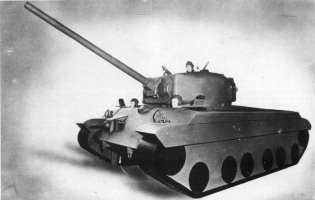 Unlike the T20 tank, the T21 featured reduced armor and lighter armament. The vehicle never entered mass production nor saw service. 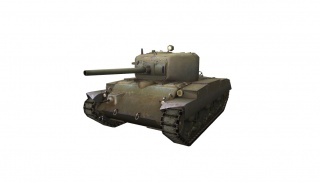 The T21 is a lighter variant of the T20 medium tank. As such, it is rather large for a light tank, but it has good maneuverability and a great view range, on top of having a good power to weight ratio. Unfortunately, it's hampered by its low top speed. Additionally, it uses the same gun as the M4 E8/E2, having rather low penetration in exchange for a high rate of fire and great handling. The T21 leads to the T71 DA. Scout: Camouflage Net, Binoculars, (choice is yours, recommend Coated Optics) In this role, you'll play more passive than active scouting. The T21 doesn't have the speed or low profile to play an active scout, so guerrilla tactics are important here; hence the Net and Binoculars. Flanker: Gun Rammer, Vertical Stabilizer (if you can afford it/steal it off another tank), [Gun laying drive/Vents depending on preference]. This will let you use that sweet M1A2 at will. Play always in and with support and you can lay some serious damage on the enemy. However, do be aware you won't last nearly as long as mediums do while trying to function in the same role as them. Coated Optics might help you if you choose this set up, as it allows you to become a deadly Artillery Hunter, finding and eliminating any SPGs. A more balanced setup would use binoculars, a rammer, and a vertical stabilizer. This setup will maximize your flexibility and allow you to fulfill multiple roles. This will maximize your DPM and ability to fire accurately on the move. 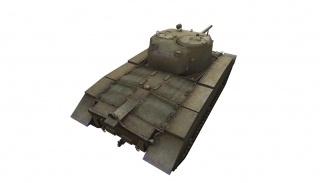 The T21 is too slow to actively scout, though it makes an excellent passive scout. Of note is the T21's ability to fire accurately on the move; this is great for chasing other tanks or for flanking. Neither the 76 mm Gun M1A2L nor the Ford GAN A Engine require the upgraded suspension, so research them in whichever order you want to. This page was last modified on 21 June 2018, at 22:51.